get to know the people you live and work with and see the world from their perspective so you know how to resolve conflicts and gently influence them towards a more positive outcome. The best way to learn the Neurogram® is to do a live workshop because the Neurogram® is all about form rather than content. Pen and paper tests (on the computer or not) only measure the content of your answer but offer no way to establish the form you used to answer. There may only be yes/no answers to yes/no questions, but in a live situation there are many ways you can say yes/no. There is the feeble yes?, the strong NO! and a thousand more alternatives. Only meeting an Neurogram® expert live ensures that he takes the form of your answers into account rather than the content of your answer. 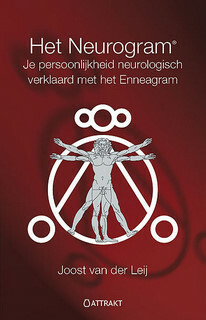 Because the Neurogram® is only about form the Neurogram® covers but a very small part of your life. We will see that even though your Neurogram® type is fixed for life content-wise you can still do whatever you want. Yet at the same time you do all this freedom in a distinct personal style. It is this personal style that makes you you. And it is this style which establishes your Neurogram® type. That is the reason why people love to have their Neurogram® type fixed. Because they want to develop and improve themselves by becoming more of who they are, not less. This entry was posted in Uncategorized on December 19, 2013 by admin.